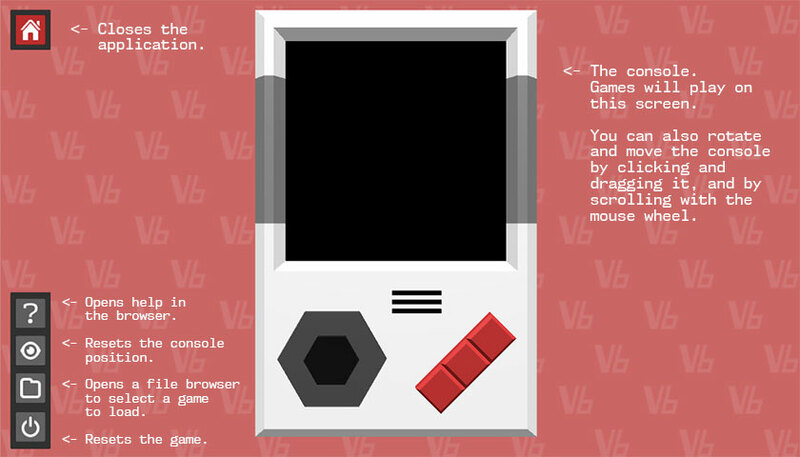 VectorBoy is a fantasy console that can be used to play your own games written in the LUA scripting language. Unlike other systems of its kind, it doesn't use pixels to display graphics. Instead, the screen displays straight lines to form graphics of all kinds. 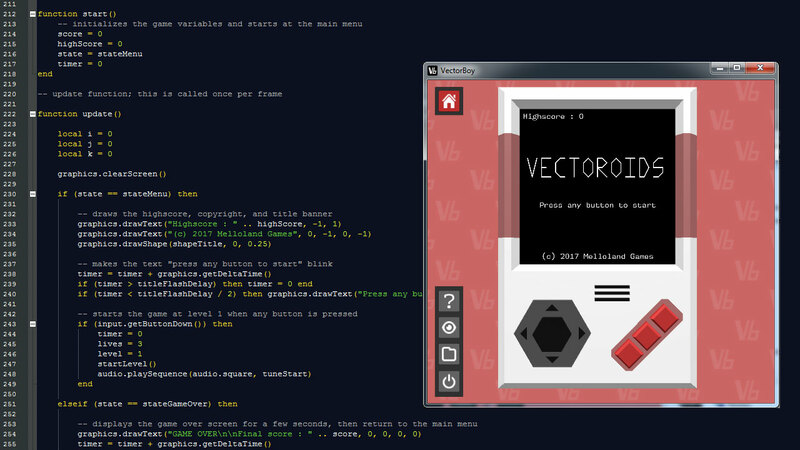 All you need to start making games for VectorBoy is a text editor. You just write a compatible script in your favorite ascii text editor, feed it to VectorBoy, and it will launch automatically. 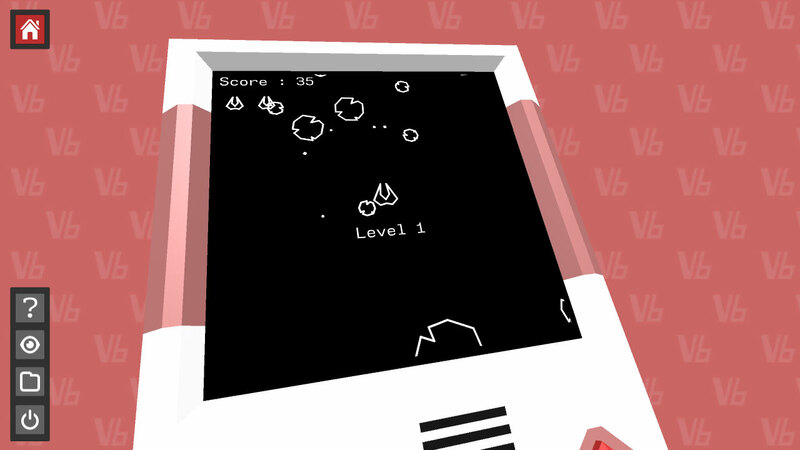 If you prefer to stick to playing, you can find the Asteroids clone vectoroids.lua in the games folder. Just open it in VectorBoy and the game will start automatically. You can also open the file in a text editor and tinker with it if you wish! This project was made mostly for fun, after having been introduced to Pico 8. The idea of a "fake" video game console you could program and share games for seemed so fun to me, I had to see if I could make one myself. I wanted it to stand out from the crowd, so instead of doing it the "classic" way with pixels, I made it vectorial. And knowing it's a very niche product, I decided to make it free so anyone could enjoy it without having to spend a single cent. VectorBoy is essentially a LUA interpreter with its own set of helper functions. If you're not familiar with the LUA language, I suggest you check out the LUA official website at https://www.lua.org/ first. If you already know your way around LUA, you can check out the included help files to get you familiarized with the VectorBoy API. Fixed a bug that made the lua scripts crash when FPS dropped below 60. 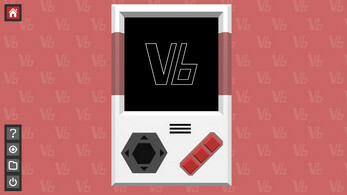 VectorBoy 2.0 is coming after all, but there's a catch!